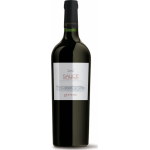 The Mocavero Salice Salentino Rosso is a red wine made by Mocavero from Salice Salentino made of negroamaro and malvasía grapes. 4 of 5 points is the average score of this red according to Uvinum users. What are the opinions of other vintages or volumes of Mocavero Salice Salentino Rosso?